Cross Wedge Rolling is an advanced forming process suitable for manufacturing of multi-shoulder shaft The productivity is two to five times of traditional die forging. Material utilization ratio can increase 10%-15% and die service life can prolong more than ten times. The advanced process is adopted as the performing process for shaft and complex forgings. It is widely applied for shaft productions of Auto’s gearbox and performing of con-rod, crankshaft etc. More than thirty production lines have been set up in China and some machines have been exported to Korea and other Asian countries. High stiffness cross wedge rolling machine developed by BRIMET possesses a compact structure with the advantage of easy adjusting, and can realize accurate and reliable feeding. 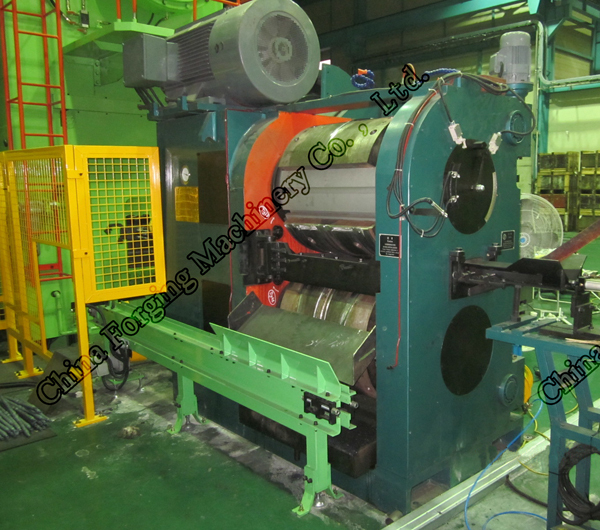 The maximum cross-wedge rolling machine in the world with center distance of 1500mm has been put into use.